Deconstructed polished chrome rings surround clear-cut crystal strands in this dazzling ultramodern pendant. Eye-catching and avant-garde, the Ariella collection adds a dramatic flair to any modern restaurant, bar or kitchen. 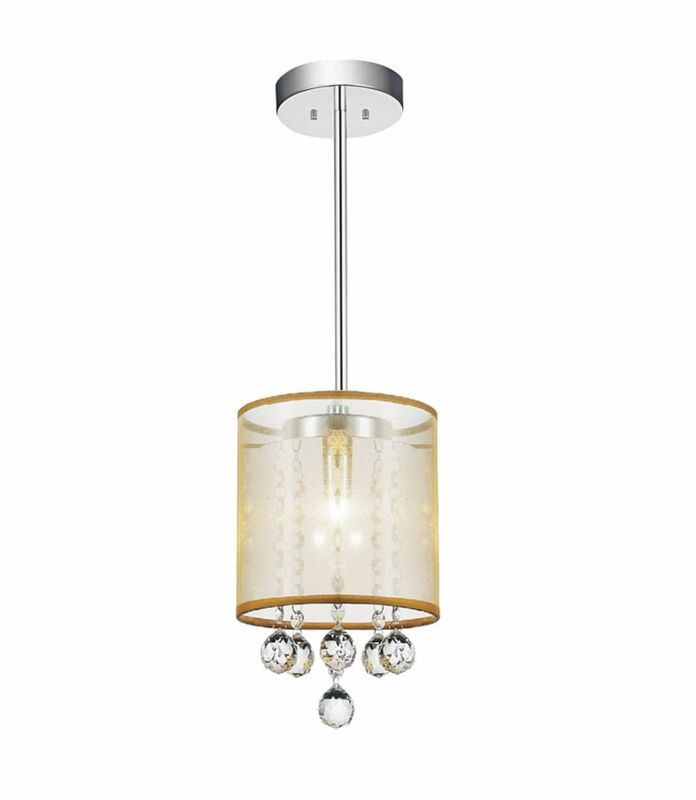 Radiant 6-inch 1 Light Pendant with Chrome Finish This breathtaking 1 Light Mini Pendant with Chrome Finish is a beautiful piece from our Radiant Collection. With its sophisticated beauty and stunning details, it is sure to add the perfect touch to your dicor.